Don’t miss the 2-tiered deck, off the kitchen, overlooking backyard, woods and greenway. MLS#2242529. 4542. Easy go shopping and Access Hway 55&540, Measurement by licensed. W/D not convey. MLS#2243115. 2571.
shower, hardwoods throughout 1st Family Room, lots of storage space, covered front porch, park area closeby-within culdesac. 0.2mi to swim club. MLS#2243271. 2017. Known for their energy-efficient features, our homes help you live a healthier and quieter lifestyle while saving thousands of dollars on utility bills. MLS#2243282. 3037. 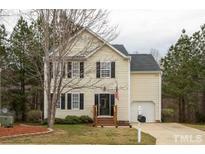 Cobble Ridge - Conv to Downtown Holly Springs (3rd safe city in NC) MLS#2243311. 2034. Cozy patio & fenced in yard or front porch are perfect for relaxing evenings! MLS#2243457. 633. 12 Oaks - 3 car garage, patio, stone screen porch. 1492 attic.! Pre-Inspected. MLS#2243232. 1320. Very well maintained home with all the bells and whistles - speakers in and out, security , central vac, wet bar, solid custom 3/4" oak trim.Must see to appreciate. MLS#2243246. 4532. Known for their energy-efficient features, our homes help you live a healthier and quieter lifestyle while saving thousands of dollars on utility bills. MLS#2243050. 3037. So much to love about this house! MLS#2243040. 986. Windcrest - Seller credit for carpet (option to collect credit after closing or elect for current owner to install new carpet prior to closing). MLS#2242904. 2531. 12 Oaks - Entertainers dream w/screened porch, hot tub, firepit and sitting wall! Resort style living awaits! MLS#2242761. 5026. 12 Oaks - Great room, gas Fireplace, lots of natural light,owners suite, large walk-in closet, separate tub, shower, bonus room has a closet and bath. Screen porch, 3 car garage. MLS#2242703. 1369. Custom moldings added in this light + bright home. MLS#2242673. 1320. A community pool, park, and sports courts are part of the Oak Hall HOA. MLS#2242741. 4823. Sunset Ridge - Special features throughout this home are numerous and include an over-size kitchen, in-law suite, 4 decks facing Sunset lake, a basement, and a loft over the M/Bedroom accessible by a brass-railed staircase. MLS#2220813. 3389. Must see on a large wooded lot. MLS#2242502. 835. Holly Pointe - We have 45 home sites left and we offer 7 floor plans. Currently running our Spring Incentive! MLS#2242533. 2714. Easy access to 55, 540, RTP. See agent only remarks MLS#2241568. 1618. Club has many amenities/walking trails or play a round on the private Nicklaus design. MLS#2242398. 2036. Oliver Creek - Schedule your showing before its gone! MLS#2242607. 4981. 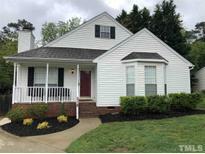 Sunset Ridge - Unfin walk-up attic & 2.5car garage. Deck & large flat backyard! MLS#2242118. 372. Large secondary bedrooms w walk in closets breathtaking master suite w bay window. Welcome home! MLS#2239924. 2058. 12 Oaks - Maple Cabinets, Granite Countertops, Hugh Pantry, Launch Area, Loft on 2nd Floor, Screened Porch, Fireplace, Walk In Closets in All Bedrooms, and much more! ! 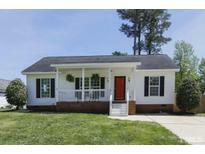 MLS#2242189. 3789.